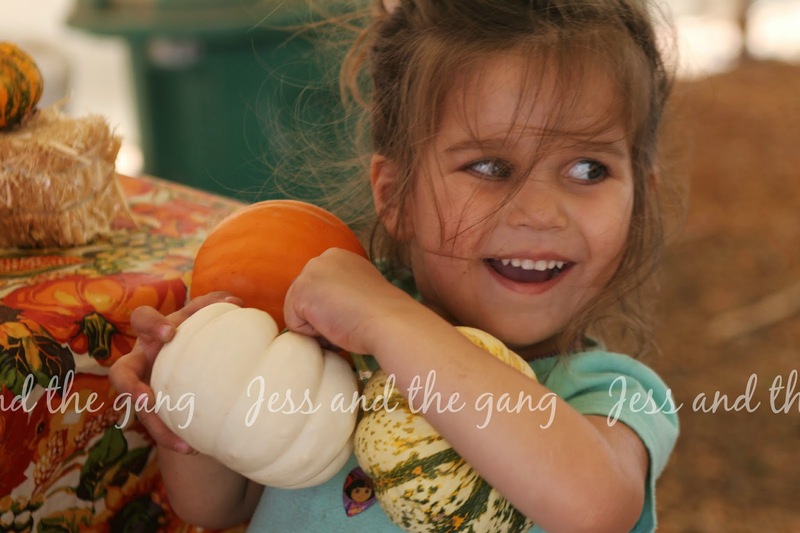 Jess and the gang: Three Cheers for Pumpkin Patch Season! 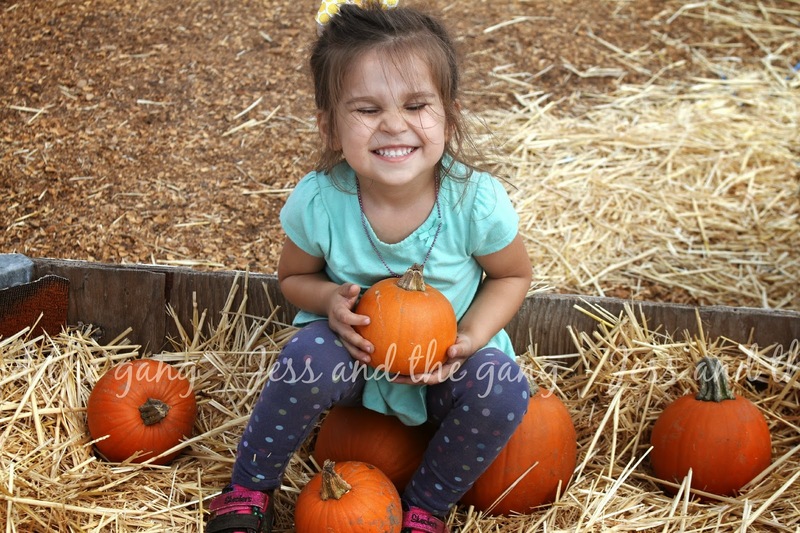 My favorite local pumpkin patch (Dutch Hollow Farms) opened on Friday. With us heading out on vacation for two weeks, I knew I was going to miss some valuable pumpkin patch time, so was excited that they opened before we left. We were pretty much the only people there, so it was fun to run around and have the place to ourselves. 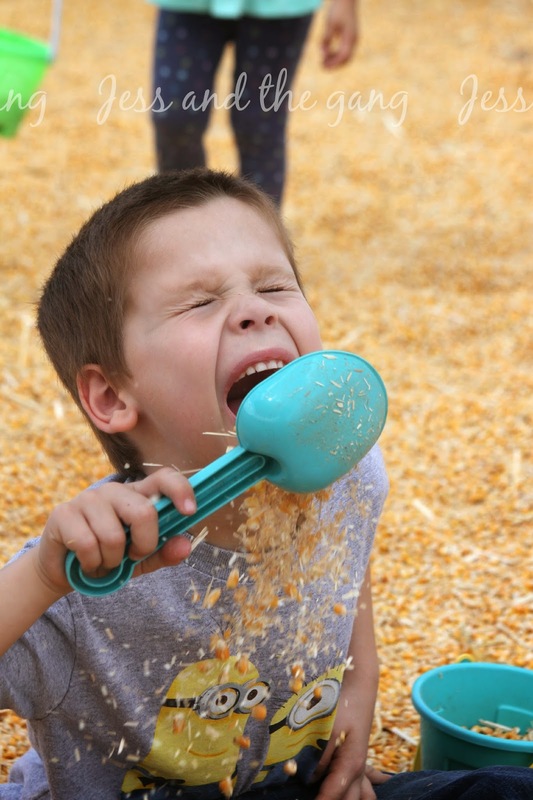 The dried corn pit has always been a big hit with Connor and Isla and still is this year. But, Connor was super excited about the hay bale maze. It really is for young kids since you can see through it. But, I couldn't believe how much fun he had in it. He was running every which way and as soon as he would find his way out, he would run back in again. But, the best part was the animals. A baby horse took a liking to Isla and had a staring competition with her. 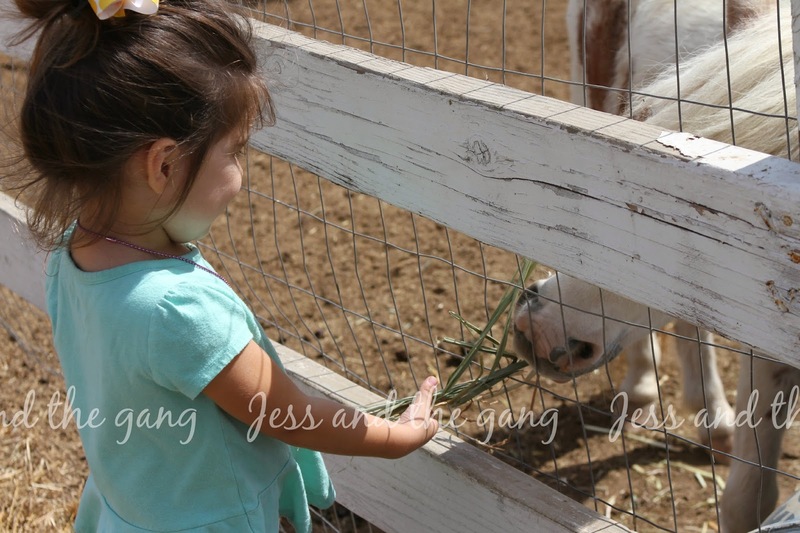 Isla put her face right up to the fence and the horse did it right back. It was super cute. Then, Isla picked up some hay and fed it to the horse. I couldn't believe it ate it right out of her hand! Or, maybe I couldn't believe that she was so calm about it. 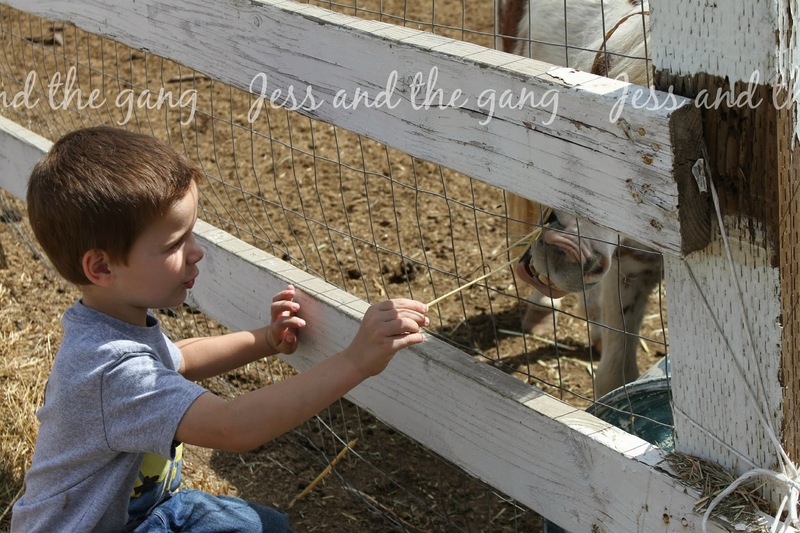 Either way, both kids stood there feeding the horse until I made them move on. ^^ Look at Connor's face, as he is talking to the horse! ^^ Isla carrying some of our spoils. One of the best parts about our pumpkin patch visit is my porch is now all decorated for fall. So, it's a win, win for everyone. The kids had fun (of course, so did I!) and in turn, my porch is all decorated. 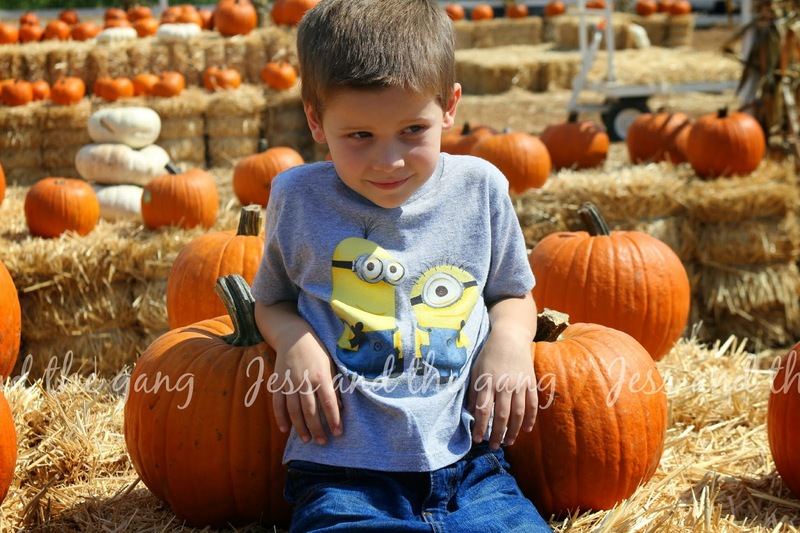 How about you, do you like going to the pumpkin patch? This post makes me so happy! I do love the pumpkin patch too. 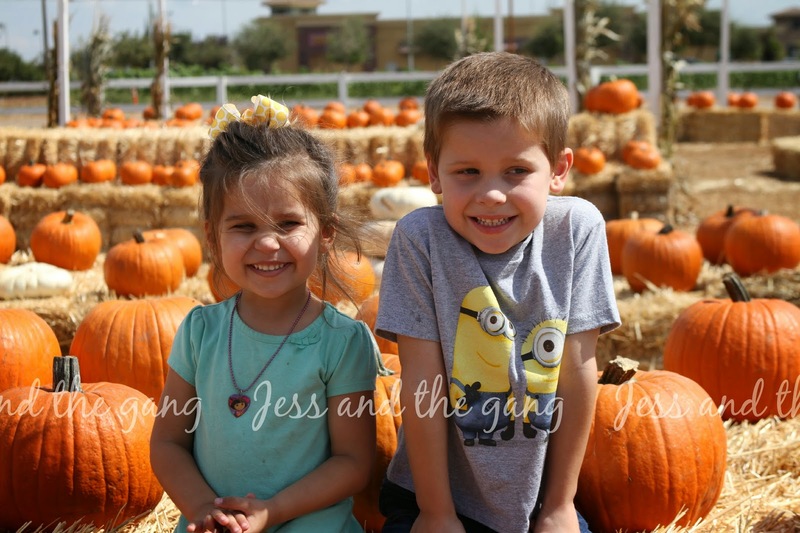 I can't wait to hit up the pumpkin patch as soon as my crew is back to 100%. 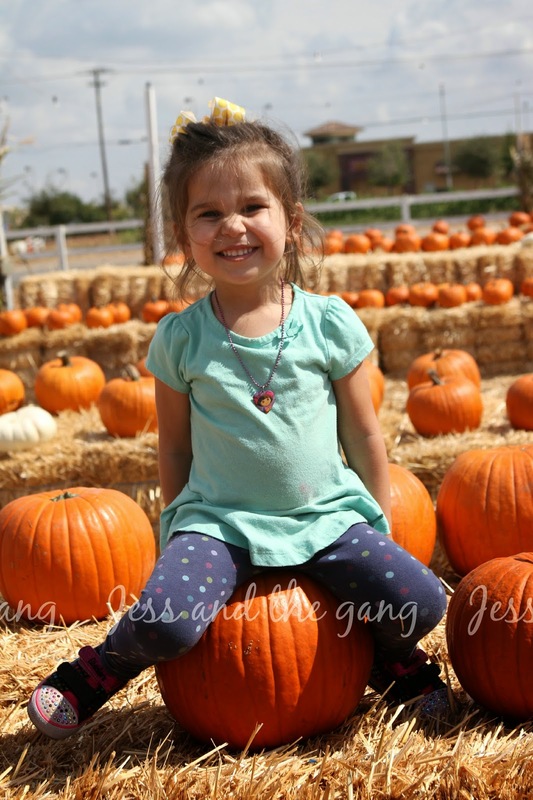 Totally pumpkin patch crazy over here too!